← Me and you – we’re not that different are we? After Sharon’s death an inevitable war of words broke out. 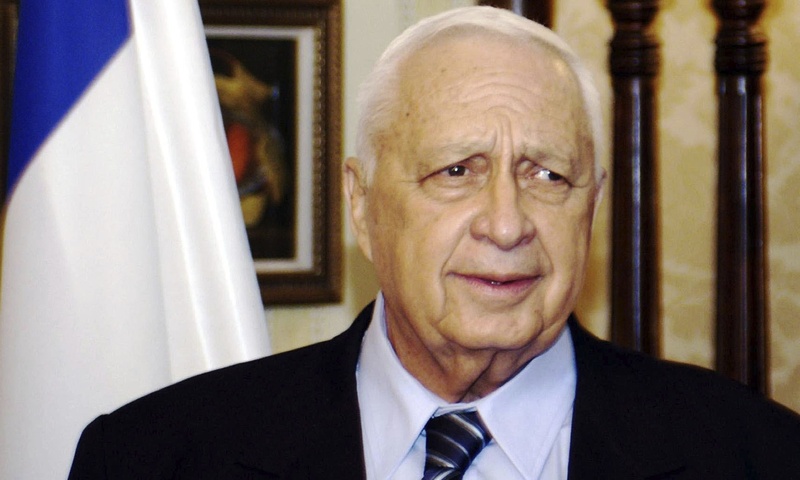 The Jerusalem Post quoted Netanyahu as describing Sharon as a ‘courageous warrior,’ who played a ‘central role in the struggle for the security of Israel’. No mention of war crimes, but equally not exactly the praise lavished on him by some. Meanwhile activists and human rights organisations have used this moment to highlight his role in massacres such as that in Sabra and Shatila in 1982 which saw hundreds and perhaps thousands slaughtered. For myself I opted for silence while I struggled with my own thoughts. In the aftermath of Thatcher’s death I wrote and spoke, to the dismay of most on the left, about the need to show respect and to not celebrate a death. I still stand by those comments. But a personal experience keeps reoccurring in my mind which makes it difficult for me to not pick up my metaphorical pen. When I started to learn Arabic before heading to the West Bank in 2012 I was taught by a Londoner who had fled Sabra and Shatila in the early 80s to make a new life for herself in the UK. She spoke with a brittle absolutism about the past that reflected a personal experience that outweighed all the history and politics that she had so obviously read. In my own mind I foolishly criticised her for this while pompously praising myself for my ability to stand back and reflect on things objectively. One time we were sat in a café repeating lists of Arabic words when we, as too often happened, got side-tracked into conversations about politics and religion. I can still remember clearly the London sun coming in through the window catching her downcast eyes as she told me of some of her very earliest memories. She told me about one night when an explosion went off in the middle of the night and in panic she ran outside in her pyjamas and just kept running through fear before finally breaking down and crying. In that moment my books seemed obsolete and useless. In the pain of that story what seemed like crass historical absolutism seemed, for a short time, completely justified. I write this now because whenever I read an article about Sharon I think, not of my Arabic teacher, but of a young girl crying in the middle of the night. Sharon, although never mentioned by name, was a central figure in her story. He was the Israeli Defence Minister of the time. He was the Defence Minister who an internal Israeli commission into the massacre of Sabra and Shatila in 1982 found ‘personally responsible’. He was the Defence Minister who had decided that Phalangist militias ‘should be sent in’ to the camps despite the risk that they would massacre the civilian population there. And as a result, he is the Defence Minister who is responsible for the deaths of hundreds or maybe thousands, for the children, pregnant women, and the elderly, some of whom were found to have been brutally mutilated. Sharon has gone to his grave without ever facing justice for his role in this war crime and others he oversaw. These thoughts have been weighing on me in the last few days. I am fully aware that writing these words won’t help bring justice for any of his victims or their families. Nor will it help people who experienced the harsh repercussions of his policies. It certainly won’t help those who see Sharon as a hero and who are mourning him as I write. In fact I am not sure this blog will help anyone – especially not me. I am still not sure why I am writing it. I know the ever quick to judge bloggersphere will jump at the chance to accuse me of hypocrisy, inconsistency and double standards. All I know is that it felt important to write it. Somehow if I didn’t write it I would feel like I wasn’t being honest with myself. I think celebrating a death (as happened with Thatcher – and I agree that was awful) is different from this kind of post, looking critically at the legacy/actions of a public figure. I feel exactly the same way about Sharon. He should have been prosecuted for Sabra and Shatila.